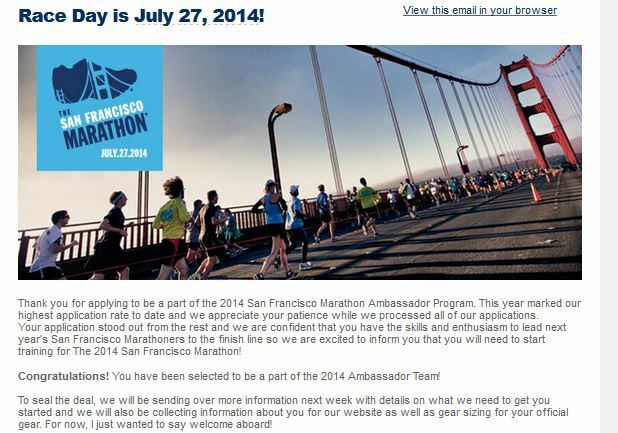 About two weeks ago, I received some exciting news in the mail: I was chosen to be an ambassador for the San Francisco Marathon! The email with the good news. I’m going to be promoting the race at events and through my social networks (both real and virtual). I’m very excited about representing the race in my home city, and the race that will always stand out as my first (and second) marathon. I had a choice to register for the full marathon or one of the halves, but I decided that if I’m going to be an ambassador, I should go all out and run the full marathon. The marathon falls two weeks after Vineman, so the month of July is going to be a test of recovery. I’ll post more information as I learn about my position and my roles and responsibilities. One thing’s for sure – the first half of next year is going to be a serious endurance test! 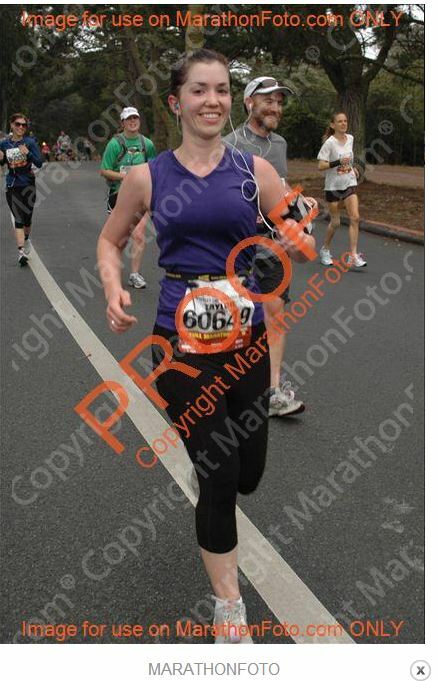 Running happy through Golden Gate Park during last year’s SF Marathon. Wow congrats!! Sounds like a great opportunity! I will probably run the 1st half this year, as I have done the last 2 years. I will be too… I will be way behind Ya’all but hopefully I won’t be on the sidewalk! Definitely interested in reason anything related to this. I am signed up for the first half. Its very first half too! I am so nervous about it now. But, I chose it for so many reasons. I needed a worthy race to enter to keep me motivated to do it. Very cool!